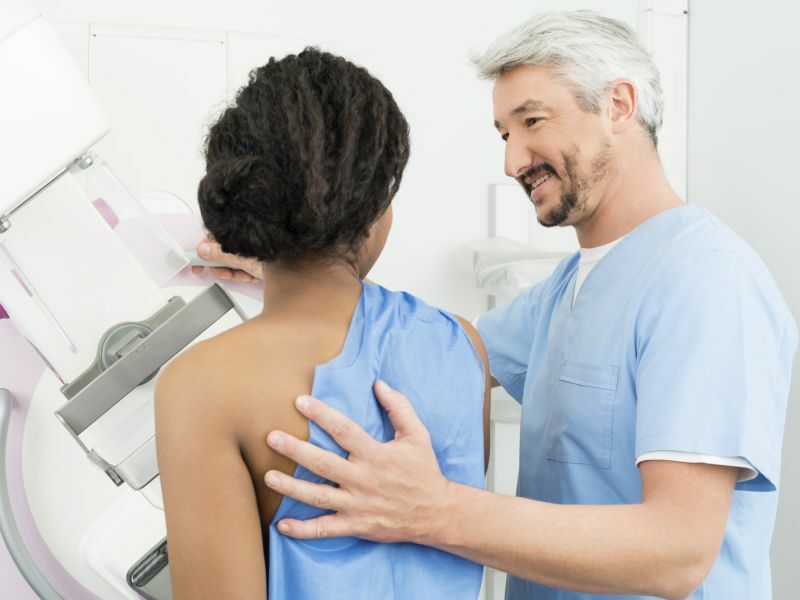 THURSDAY, March 22, 2018 (HealthDay News) -- After American women began to adopt annual mammography screening in the 1980s, a very healthy thing happened: the average size of newly discovered breast tumors got smaller. That's the finding from a new look at data on more than 386,000 U.S. women who were diagnosed with breast cancer between 1983 and 2014. The average size of breast tumors at diagnosis fell 23 percent during that time -- from 26 millimeters to 20 millimeters (1.02 to 0.79 inches), the researchers found. That's great news for women, because "in general terms, small breast cancers have a better prognosis than larger ones," explained study co-author Dr. Manon Jenkins, of Weston General Hospital, in Bristol, England. But the news wasn't all upbeat: Not all women have benefited equally from the trend, and in fact, breast tumor size began to creep up again after 2001, the study found. For example, after the introduction of breast cancer screening in the early 1980s, the average breast tumor size fell 27 percent in women aged 70 to 74, but only 10 percent among those 85 and older. Average tumor size remains highest in women older than 85, who are less likely to be screened, the researchers said. And between 2001 and 2014, the average tumor size actually increased slightly -- between 3 percent (for women aged 75 to 79) and 13 percent (for women aged 50 to 54). The findings were to be presented Thursday at the European Breast Cancer Conference in Barcelona, Spain. It's not yet clear whether the recent increase in average breast tumor size will mean more breast cancer deaths, Jenkins and colleagues stressed. But it makes sense that the more screening, the better the survival odds for patients, they added. "Screening aims to detect breast cancers before they are large enough for a woman to feel them," Jenkins explained in a meeting news release. "If that's the case, then the number of large cancers among women who are offered screening should fall and [deaths] should also decline." Two oncologists who weren't involved in the study worry that changes to U.S. mammography guidelines might be contributing to recent increases in breast tumor size. In 2009, the influential U.S. Preventive Services Task Force changed its breast screening guidelines, advising that women have a mammogram once every two years, beginning at age 50 and ending at age 74. The former recommendation had included women aged 40 and over, and advised annual mammograms. Dr. Alice Police directs breast surgery at Northwell Health in Westchester County, N.Y. She believes the "most likely reason" for the recent slight uptick in average tumor size "is that guidelines for screening have changed." "These new guidelines have not been universally accepted, but even a partial acceptance could account for the fact that tumor size is now increasing -- particularly in older patients," Police said. "This would indicate an unfortunate trend towards a later diagnosis for some patients, which could translate into poorer outcomes and a higher mortality rate down the line," Police added. "This disturbing trend could be the result some of us have feared from the new screening guidelines." Dr. Lauren Cassell is chief of breast surgery at Lenox Hill Hospital in New York City. She hailed mammography screening as "one of the major medical advances of the past 50 years." But she agreed with Police that "it would be a terrible shame if we are picking up tumors that are larger because women are not going for yearly mammograms."